75% of donors on a Giving Day are new to the organization, more engaged and more likely to give multiple times throughout the year. The average volunteer fundraiser brings $612 from 8 donors, 5 of which are new to the nonprofit. 95% of donors are more likely to give additional dollars as a result of participation in a giving day. Cut through the competition of global fundraising days and better leverage your marketing resources. 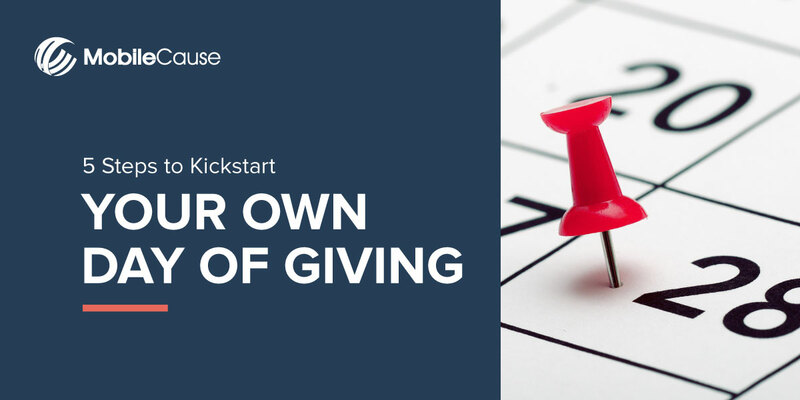 Download our 5 Steps to Kickstart Your Own Day of Giving infographic to get started on creating your most powerful and profitable fundraising event of the year.